Last year I read 42 books which feels good. So far this year I've read 4 although I might slow down once I'm back reading large academic texts. When All Is Said is the debut novel from Anne Griffin. It's a really unusual novel. The whole novel is basically a stream of consciousness. Maurice Hannigan sits in a hotel and orders five distinct drinks and toasts five important people from his life. 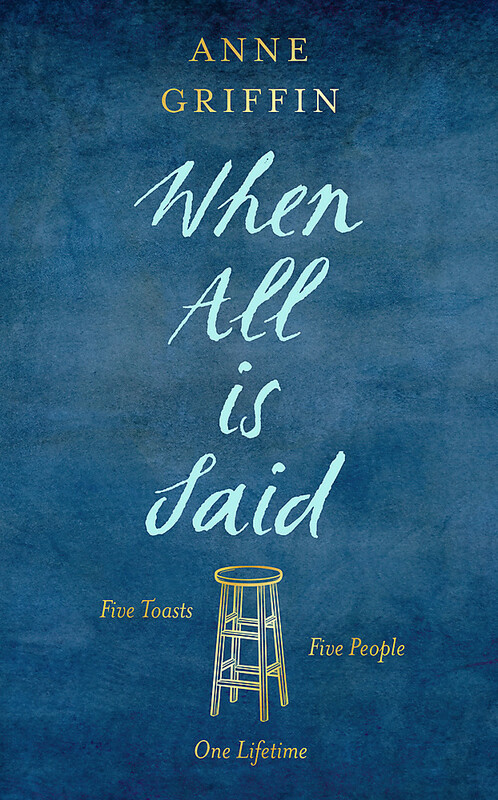 As he toasts his stream of consciousness follows his life story, his losses and joys. This novel is really absorbing. I read it in a day following each toast and growing more connected to Maurice as the book unfolded. By the end of the novel there were tears. This book is written so differently than any other I have read but it is brilliantly realised. Even though there is essentially only one character there are multiple characters and each is brought to life through the eyes of a single individual. There are some very moving moments and some real insights into the nuances of relationships and love. I look forward to Griffin's next offering. All Content Copyright (c) Miriam Fisher 2013. Blog Design By GreatfunDesign.. Watermark theme. Powered by Blogger.